We have a juicy episode for you today! 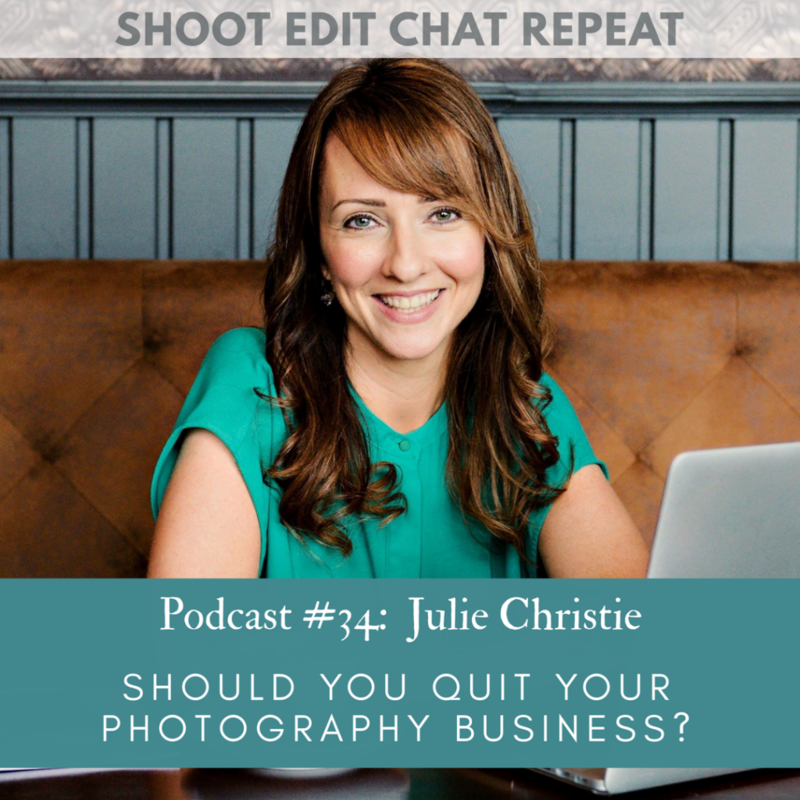 Today we are talking to Julie Christie of Togs in Business, all about the questions you need to ask yourself if you are considering quitting your photography business. We asked Julie to come on the show after we saw that it had crossed her mind to quit this year, but then realised that wasn’t the right decision after asking herself these 4 questions. We won’t tell you what the questions are, you’ll have to listen to see! Julie offers a lot of great advice in this episode, we hope you find it useful. Togs in Business website Join the Togs in Business Facebook group This episode is brought to you by our own ventures! Check out the Vicki Knights Delight Retreat for family photographers And check out Eddie Judd’s Lightroom workshops There are just a few tickets remaining for our live podcast event in London on 19th January, you don’t want to miss this! Buy your ticket here. ​​ ​​We’d love to know what you think of this episode... ​​Instagram: @shoot.edit.chat.repeat ​​Facebook: @shoot.edit.chat.repeat ​​Twitter: @shooteditchat ​​Email: shooteditchat@gmail.com And we'd love you to leave us a review! Ah thank you, we love you too!